If you’re among the many people who find the eye-watering $999 price tag of the new iPhone X outrageous, fear not. There a many less expensive alternatives that still deliver a high-quality experience. 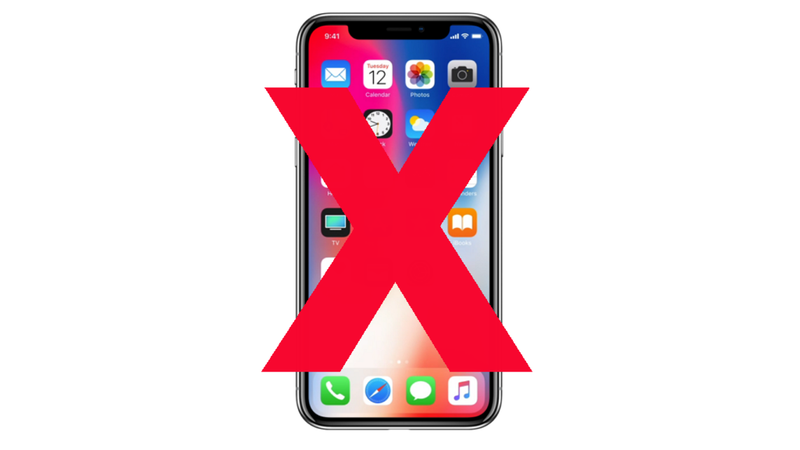 To make things a little easier, we’ve broken down our selections into two different categories: devices that are still part of Apple’s ecosystem (for people who don’t want to leave), and everything else (for people who are finally considering switching to Android). Due to the nature of Apple’s iron-clad control over the iOS ecosystem, there’s naturally a lot less choice when it comes to homegrown iPhone X alternatives. Now you can always opt for the $699 iPhone 8 or $799 iPhone 8 Plus and save between $200 and $300, but I think we can do even better. After all, the main advantages of the new iPhone 8 over previous models are wireless charging and Apple’s new A11 Bionic chip. If you spend most of your time on social media, texting, or browsing the web, the enhanced performance you’ll get from the A11 Bionic processor could be overkill. And since the iPhone 8 and iPhone X are the first iPhones with wireless charging, to even take advantage of the feature, you’re going to have to buy a wireless charging pad too. We’re trying to save money here, not spend more. Over in the Android camp, there are a lot more options for more affordable iPhone X competitors. But you’re going to have to be willing to switch to a different OS, and possibly abandon (or at least spending time transferring) your iTunes and App Store purchases. But if you can stomach the transition, it’ll be worth the savings in the long run. While I definitely wouldn’t call the Galaxy S8 cheap, with prices for Samsung’s 5.8-inch flagship hovering between $600 and $700, it offers pretty significant savings without sacrificing much on specs. The S8 has both iris and facial recognition tech for unlocking your phone with a glance, and while the face unlock isn’t the most secure, you also have the choice of a rear-mounted fingerprint reader (something you won’t get on the iPhone X). You also get a gorgeous bezel-less design without an ugly monobrow at the top and one of the best displays in the world. And because the S8 has a glass back just like the iPhone X, you also get wireless charging, on top of handy things like a headphone jack and a USB-C port. Moving even further down the price ladder to levels Apple simply can’t match, we have the Moto G5 Plus, which so far, is the best budget phone of the year. Starting at $230, the 5.2-inch G5 Plus costs one-fifth of an iPhone X and it features a front-mounted fingerprint reader with nifty gesture control, an essentially stock version of Android, headphone jack and compatibility with any US.carrier. And if you’re an Amazon Prime member and don’t mind seeing ads on your lock screen, you can push that price even lower to $185 by getting a G5 Plus through Amazon’s Prime Exclusive phones program. Oh, and before I forget, if you want something like the G5 Plus but are looking for a slightly more upscale design and build, the Moto Z2 Play starts $408 and includes upgrades like mod support, an AMOLED screen and bigger 5.5-inch AMOLED display. There are a number of other worthy contenders like the soon-to-be-released LG V30 or whatever Google is planning on doing with the next Pixel sometime in October, but these phones are officially out yet. Then are are older phones like the original Pixel or So the real smart play would be to wait another couple months as we get deeper into the fall and those holiday discounts start roll out. But the real point is, for people who don’t want to spend $1,000 on Apple’s shockingly expensive phone, you don’t have to, because there are plenty of options.